There are a variety of crimes having to do with prescriptions drugs, and all have become more common in the last few years. Cops are on high alert, and are making arrests in large numbers across the state. The root of prescription drug crimes comes from the popularity of the actual drugs. Users of painkillers such as Oxycodone and Vicodin, anti-anxiety medications such as Valium and Klonopin has continued to increase, but these medications have become increasingly harder to obtain. As a result of increased law enforcement attention, doctors are more reluctant to write scripts for these drugs, and some pharmacies are even turning new customers away. Often those with legitimate needs for these drugs are finding it harder and harder to renew or refill their prescriptions. Each of these factors has led to an increase in prosecutions for the possession of counterfeit prescriptions. Maryland law makes it a criminal misdemeanor to possess or help someone obtain a fake prescription. This statute is actually located in the fraud and counterfeiting section of the state code, and should not be confused with a similar law that is located in the drug crimes section. The counterfeiting law carries a maximum jail sentence of 2 years, which is less than the five-year max under the drug crimes law governing false prescriptions. Many defendants who are arrested for this type of offense are charged with both, but only one count can legally be pursued for each offense. Benjamin Herbst has represented hundreds of clients in drug crime cases, included cases for counterfeiting prescriptions, doctor shopping, and possession of narcotic drugs. He firmly believes that no person should serve a day in jail for a non-violent drug offense, nor should anyone suffer the permanent consequences of a criminal conviction. The Herbst Firm’s two main goals in all cases are to avoid jail and to avoid a conviction. The percentage of cases where we can achieve both is exceptionally high because we never stop fighting for the best possible result. There are many lawyers in the state that say they can handle criminal defense cases, but few have been practicing criminal defense from the day they starting practicing law. Defending criminal cases is what we do. And by defending we don’t mean showing up and accepting the first plea offer that the state’s attorney throws on the table. Each criminal defendant is entitled to a competent defense attorney, but there is more to defending someone’s rights that just showing up. Defending requires passion and belief that justice will not be served without a fight. 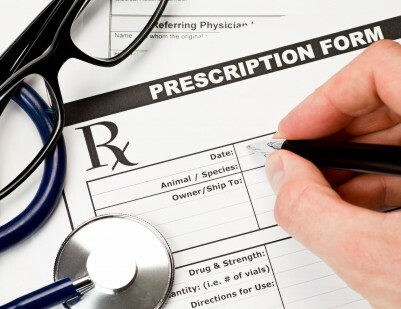 Whether you have been arrested for possessing a counterfeit prescription, trying to obtain a fraudulent script, or even unlawful possession of a prescription drug Mr. Herbst will take on the state and the police in order to achieve the best possible outcome. He is available seven days a week to discuss your case at 410-207-2598. The Firm offers competitive legal fees and payment plans in every case, no matter how complex. In addition the Firm never charges extra for jury trial demands, motions, or for going to trial. Contact us today for a free consultation.